Sometimes you are intending to shoot a moment, but it is caught accidently and becomes a sad masterpiece. 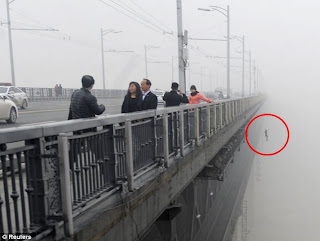 This exactly what happened when a photographer who was trying to snap the fog shrouded bridge over the Wuhan Yangtze River in Hubei province of Central China. 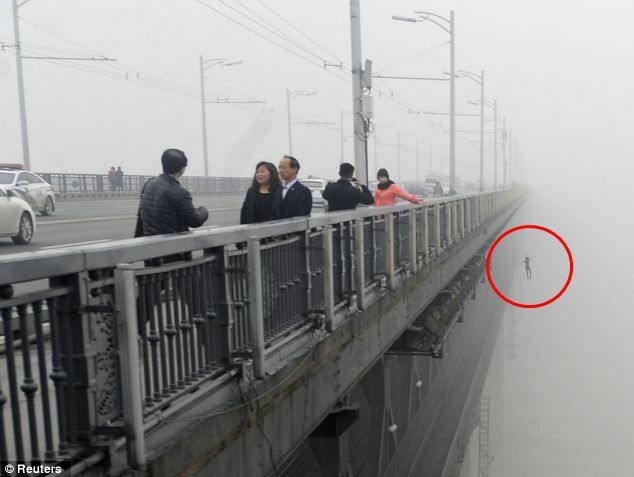 While the photographer was busy composing the fog shrouded bridge, a desparate Chinese couple leapt into the river in desperation - only to be caught on the camera.